Hi all, all those coming along to celebrate 150 years of Sunbury Cricket Club make sure you get down there nice and early to catch up for a chat with your team mates, sit down is at 7.30pm, cheers and see you all there. Payment can be made direct to SCC account, please put your name, 150th and number of tickets (x1 etc.) in your description. 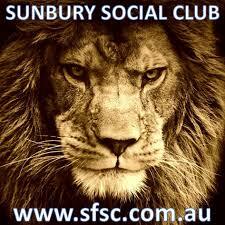 Account name – SUNBURY CRICKET CLUB INC.
As part of Sunbury Cricket Clubs 150th year of cricket celebrations President Brendon Doyle is inviting all past players and sponsors to attend a celebration evening of Sunbury cricket. Highlight of the function will be the announcement of the SCC Hall of Fame. Will any of the current day players stack up against our histories best and make the list??? Not only is this a special anniversary of our clubs formation in 1868, 2018 is the 25th anniversary of the unparalleled achievement of winning not only the GDCA A Grade Premiership but also the B Grade and D Grade were also successful with the C Grade unfortunately missing out being defeated in the Final. So please mark your calendar for this special event to celebrate the clubs history and is a chance to catch up with former team mates where stories of great successes can be relived and don’t forget some less than memorable events for some may be raised in the name of humour. Not only are we seeking a celebrity to provide entertainment there will be Captains and great players sharing some stories for those who are close to the club. This is a great opportunity for past players, current sponsors and club officials to meet and enjoy an evening of cricket history of our club.